A landmark of British science fiction, The Black Cloud (1957) was the first novel by world-renowned astronomer Sir Fred Hoyle (1915-2001), who used his own scientific background to create a frighteningly real apocalyptic thriller in which, Hoyle said, “there is very little that could not conceivably happen.” Long recognized as a classic in Great Britain, Hoyle’s novel returns to print in the U.S. for the first time in over 40 years in this edition, published to coincide with the centennial of the author’s birth and featuring a new foreword by Geoffrey Hoyle. Fred Hoyle was born at Bingley, Yorkshire in 1915 and educated at Bingley Grammar School and Emmanuel College, Cambridge. A Fellow of St. John’s College, Cambridge, he was a lecturer in mathematics from 1945 to 1958, when he was appointed to the prestigious post of Plumian Professor of Astronomy and Experimental Philosophy. He became the founding director of the Institute of Theoretical Astronomy at Cambridge in 1967 and was knighted in 1972. He also held a position as a visiting professor of astrophysics at the California Institute of Technology. Internationally famous as a scientist, Hoyle is remembered today as the foremost proponent of the steady-state theory of the universe and for his pioneering work in the field of stellar nucleosynthesis. An extremely original thinker, Hoyle was not afraid to advance controversial ideas, many of which were later proved correct. In the 1950s, when his paper on interstellar molecules was rejected for publication, he rewrote his ideas as a novel, The Black Cloud (1957). 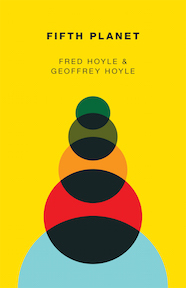 This book was a popular success and has remained in print continuously in Great Britain; its success paved the way for a number of other science fiction works, often co-authored by Hoyle with his son Geoffrey. 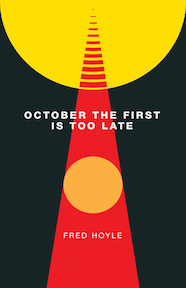 Several of Hoyle’s works, including Ossian’s Ride (1960), A for Andromeda (1962), Fifth Planet (1963), and October the First is Too Late (1966), have gone on to be recognized as classics of the genre. Hoyle was also well known for his nonfiction writings, which aimed at making science accessible to popular audiences and young readers, and for his BBC radio broadcasts and television work. He died in 2001.